Reward yourself with an evening excursion on a Zodiac boat on the majestic St. Lawrence River and, at the same time, admire the sky lighting up right in front of your eyes. 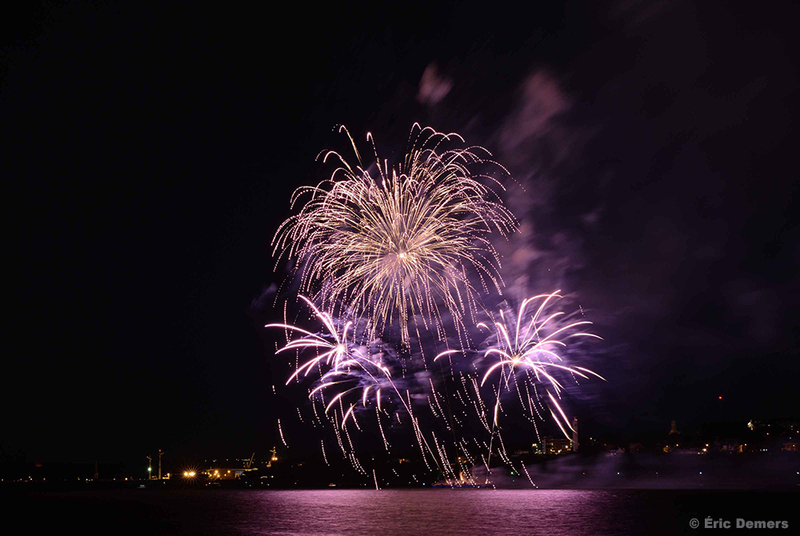 The best view on the Loto-Québec International Fireworks Competition is offered by Excursions Maritimes Quebec! Exclusive boats are available to you! Wednesday July 31: Theme soon ! Wednesday August 7 : Theme soon ! Wednesday August 14 : Theme soon ! Saturday August 17 : Theme soon ! Wednesday August 21: Theme soon ! Saturday August 24 : Theme soon !